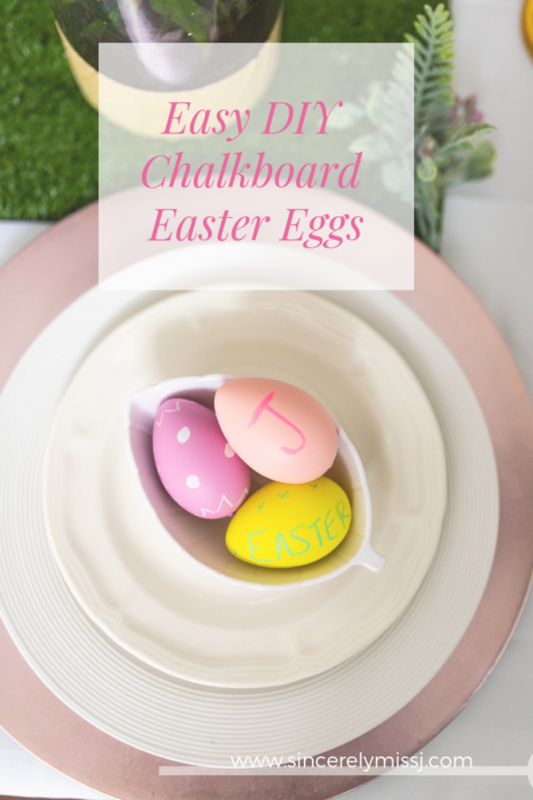 These chalkboard Easter eggs were simple and quick to make but as you can see, they make beautiful Easter decor pieces. You’ll love making them because they’re mess free and inexpensive to make. The best part? 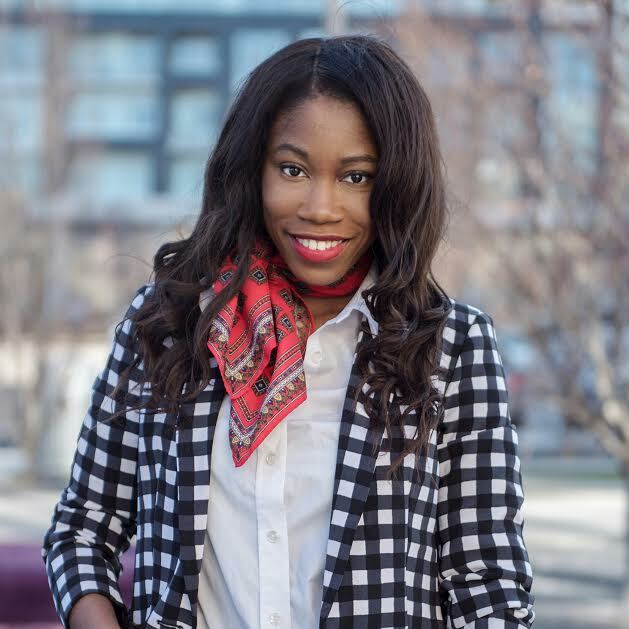 You can wipe away your designs and start from scratch whenever you want a new look. 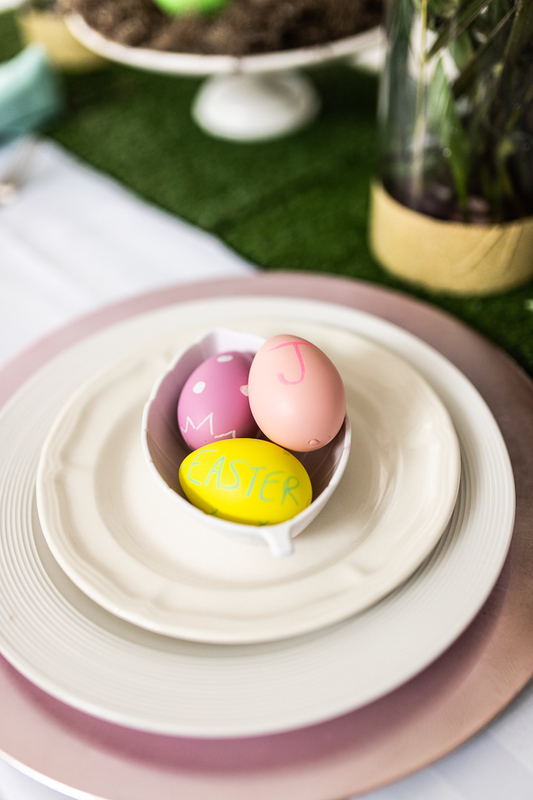 Keep reading to see how you can make these easy chalkboard Easter eggs in under 1 minute. 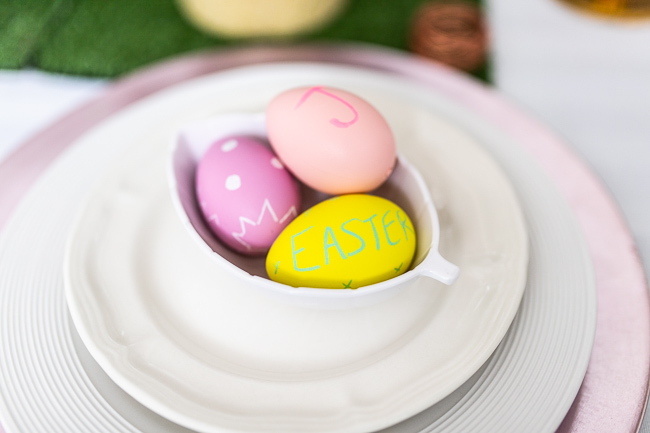 Do you love decorating Easter eggs or are you looking for more Easter egg decorating ideas that your kids will love? Also check out my DIY Unicorn Easter Eggs Tutorial. 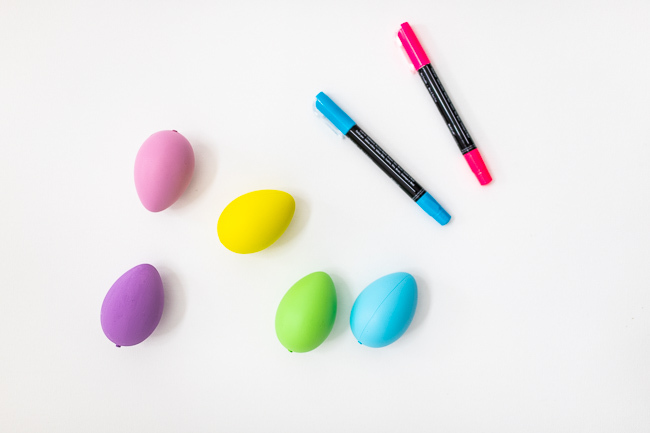 Use chalk pens to draw on simple designs, patterns, and Easter/ springtime messages. I used various colors and chose to write my initials, draw simple patterns and the word Easter. The limit to what you can create is the limit of your imagination. The best part is if you make a mistake or want to change the design, erase your designs by gently wiping the egg surface with a wet paper towel. There you have it! A simple Easter Egg decorating idea. 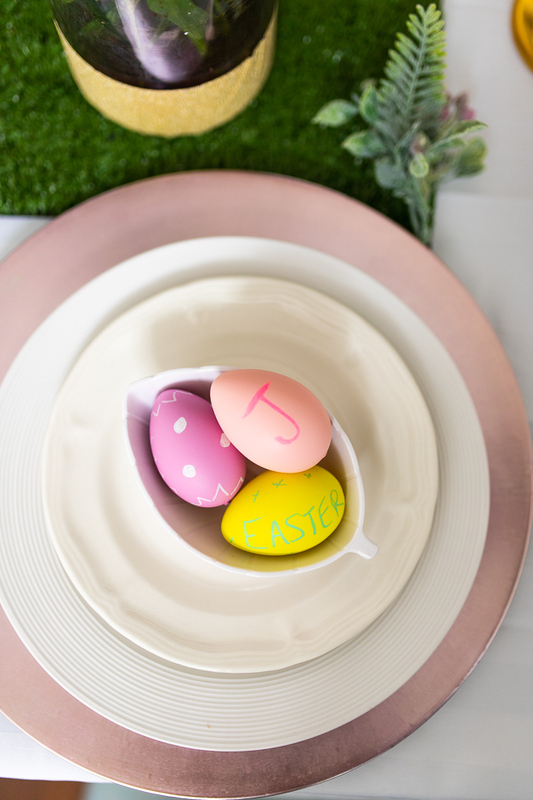 Next Post 3 Easy DIY Easter Table setting ideas, You’ll Love!